Join us as we explore the beautiful campus of the University of San Francisco. This is a great opportunity for students to get firsthand experience of college life as well as encourage students to examine personal interests and future career goals. The tour will include financial aid and admission sessions, dorm visits, mock college classes and more. 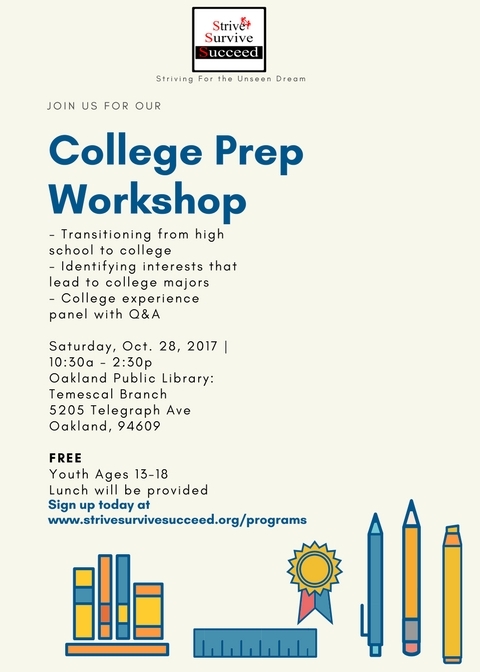 Join Strive Survive Succeed for a free College Preparatory Workshop on Saturday, October 20th, register here. The 2018 scholarship application period is open until July 15th, apply today! College Prep Workshop on May 19th, sign up on our programs page. campus Tour to University of California, Santa Cruz - April 14th...Share with a friend and sign up today! The Strive Survive Succeed 2nd Annual Fundraiser Luncheon will be held on December 2nd! Get your ticket today and have a great time for a great cause! Fall Campus Tour (University of the Pacific) Sign up today! Fall College Prep Workshop - Sign up today! 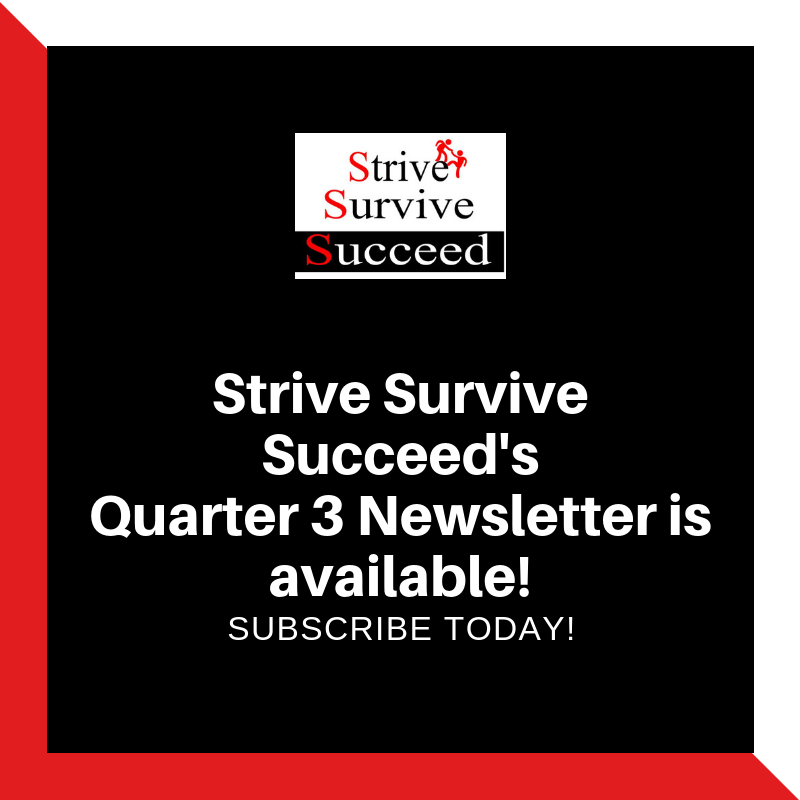 With the help from our generous donors, Strive Survive Succeed is able to award scholarships to 4 exceptional students for the 2017-2018 school year! Scholarship Application period is open!! Apply today! Spring College Prep Workshop - Sign Up today! Exciting Fall Programs: Sign up today!!! Congratulations to our 2016-2017 scholarship recipients! With the help from our generous donors, Strive Survive Succeed is able to award Mr. Jeremiah Phillips and Mr. Roberto Herrera scholarships for the 2016-2017 school year. Thank you all for your continuous support, we are looking forward to a great New Year.